Facebook owned WhatsApp got end-to-end encryption back in April this year, and now, the company has brought the same feature to its standalone messaging app Messenger. Facebook has brought end-to-end encryption to Messenger in the form of Secret Conversations. The option can be found in the Settings menu. As soon as you enable it by toggling the button, you will get a message confirming that Secret Conversations have been enabled. However, this isn’t implemented the way it’s implemented on WhatsApp. The encryption is enabled by default for all the conversations on WhatsApp once the app is updated. However, for Messenger, you have to enable it for all the chats individually. Also, the encryption is only enabled on the device on which the Secret Conversations have been enabled. Maybe this is done by Facebook to avoid any legal actions from governments when it comes to handing over of user data. 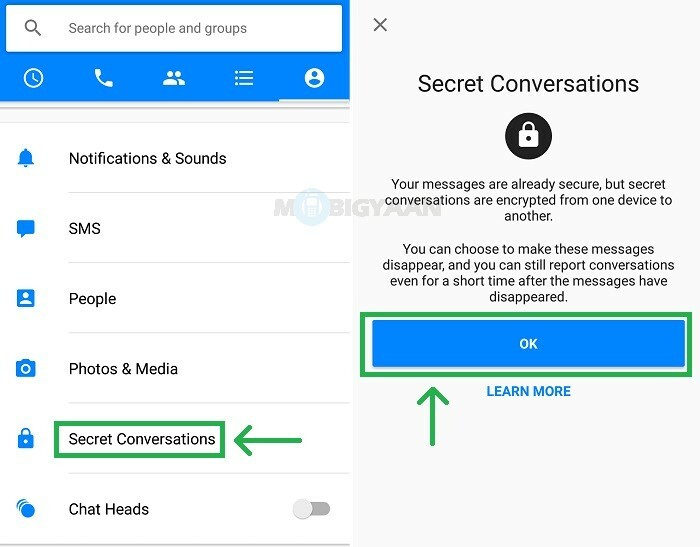 Also, the encryption will only apply on new chats and not the existing ones. The conversation screen will also change from blue to black in color. Besides this, you can also send self-destructing messages. You can choose between 5 seconds to 24 hours for the messages to self destroy. If you want end-to-end encryption to be enabled for group chats, that’s not possible. Also, you won’t be able to send any GIFs or videos in Secret Conversations. 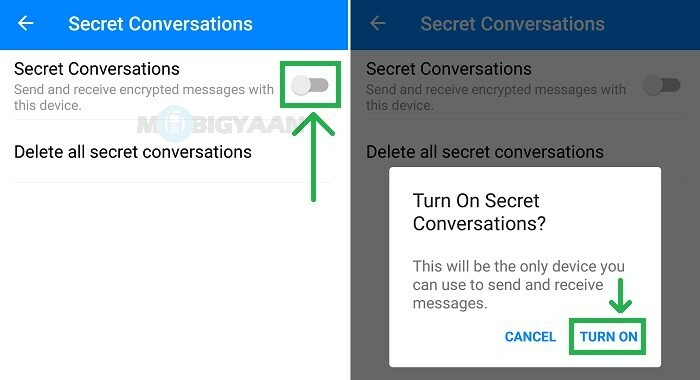 While this really is a good decision by Facebook, we think it is still useless and most of the users might never come across this Secret Conversation option which means their conversations will not be end-to-end encrypted. If Facebook really is concerned about the privacy and security of its users, it should implement end-to-end encryption by default and shouldn’t keep it as an option in the app which one has to manually go and enable.